Always wear tailored or fitted clothes, they can take your outfit from a 7/10 to a 10/10. It really does make a difference. When your outfit is figure hugging, you feel better, look better and this gives you confidence. Before you decide to purchase an item, ask yourself if you are buying it simply because of the brand name or because you love the quality and style. You really can buy high street and with the right fit and style, can make it look amazing. You really don’t need to over do it, like they say, less is more. No more than three colours in your outfit at any one time. There is nothing better than the classic, simple look. Don’t dress like a Rock Star unless you’re in a band 😉 Stick to what suits you and your style. Trends come and go, create a style for you and it will last forever. Add some colour to your wardrobe. Especially in the Summer when you can experiment and see which colours suit you most and your skin tone. Bright colours in the Summer, stick to darker colours in the Winter. If it is one thing that women will notice, it’s your shoes. Always wear nice shoes. 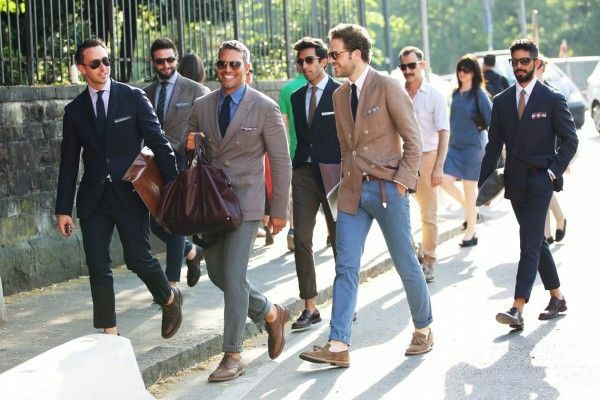 Loafers, buckle shoes, brogues and smart/derby shoes, always invest in your shoes. The last thing on, is usually the first thing noticed. Add accessories, pocket square, sunglasses, hats, scarves, watches etc. This can all add to the outfit and show off your personal style and finish it off superbly. Take some risks, it is always better to be overdressed than underdressed. Experiment with style and step out of your comfort zone, you might end up loving something you never thought you would.